Belgian band Amatorski at Dutch TV show "Vrije Geluiden". A bit over a year ago. 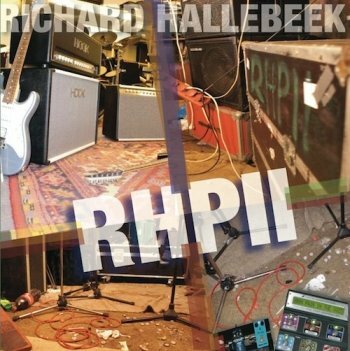 Dutch guitar player Richard Hallebeek's latest album, "RHP II", features an impressive list of guests. Alex Machacek and Guthrie Govan both contribute guitar lines and solos to one track. Randy Brecker is present as well ! Released on Richard Hallebeek's private Richie Rich Records label. A chamber music tribute to Frank Zappa, performed by musicians of the Monte Carlo Philharmonic Orchestra with Raphaelle Truchot Barraya on flute, Matthieu Bloch on oboe, Arthur Menrath on bassoon, Patrick Peignier on horn. The Instant Composers Pool will be releasing a box (hand-painted by Han Bennink) that will include 52 CD's and 2 DVD's, plus a photobook. The box will be called "The Complete Boxed Catalogue". The Fantastic Voyage label (??) will be releasing a 3CD box next month, collecting early Sun Ra material. The goal escapes me as we've already had a number of these sort of releases the last couple of year. paul bascomb and his orchestra : alley "b" on 5th ave.
TY SEGALL "WHAT'S IN MY BAG"
Ty Segall recorded Captain Beefheart's 'Drop Out Boogie' and released it on his "Lemons" album in 2009. Here's Ty in an episode of "What's In My Bag" over at http://www.amoeba.com, showing that he sure has a good taste in music!! "Flat Earth Society celebrates its 13th anniversary with 13 concerts in 2013. Armed with 13 new songs, 13 years of experience and a brand new CD "13" Flat Earth Society will be touring in 2013. They play their anniversary exactly 13 times (how could it be otherwise), in the Netherlands, Luxembourg, France and England. Of course they also play many concerts on home soil, in the hippest places in Flanders." IKESTRA are 7 musicians from Leeds. Originally formed in 2010 by Joe Harris after attending Leeds College of Music, IKESTRA has been through several personnel changes before settling on the current line-up in early 2011. The musicians have all been active in the Leeds music scene for years and share a mutual love of improvised music. IKESTRA is Sam Bell (percussion), Sam Gardner (drums), Henry Guy (Bass), Joe Harris (guitar), Tom Henry (keys/synths), Craig Scott (guitar) & Anna Stott (vocals). The band name relates to the oneness symbolised in the 'I' and is in tribute to Sun Ra's legendary Arkestra. They've signed up with local independent record label and connoisseurs of the left-field music scene in Leeds, Destroy All Records to bring out their debut self-titled album. Interview with Tommy Mars by Juha Rompannen, recorded 1996-04-20 in Los Angeles. My band returns to my favorite venue, THE FALCON in Marlboro, NY. This will be the first time Napoleon has sung with us at the FALCON, so it's going to be an amazing night. I'm flying him in from the west coast to sing on our newest CD so it was perfect timing. As most of you know, Napoleon was Zappa's lead singer and sax player for most of the '70s with that incredible band that included Jean Luc Ponty, George Duke and Ruth Underwood. Every time Napoleon sings with us, the energy level goes through the roof! The FALCON will never be the same. Show times- 7:30 and 9 PM. And as always at the Falcon, NO COVER CHARGE! Just a donation box for the band. Thanks for all of your support, folks. I hope to see you at the Falcon! Let me share Wegé New Year's Greeting Card with you, wishing everyone a fresh cut 2013. There might be link to a new hair dress salon called Zappa that opened in Wegé's home town. One day after their concert at the Moo-Ah Festival in Corby, the Zappatika gang will be doing a gig in London ! 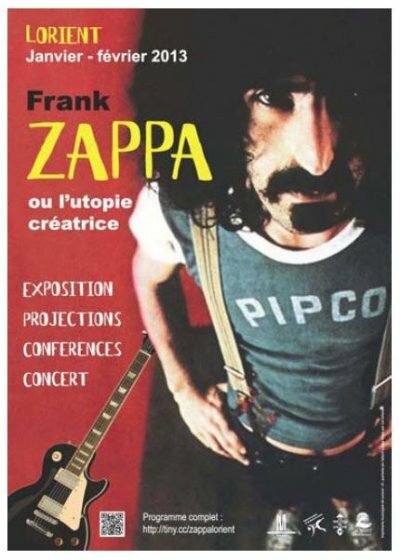 The city of Lorient (in the northwest of France) is having a Zappa Festvival. - documentary : "zappa dans la vie, zappa en live"
- concert "zappa l'alchimiste", by students of the "l'école de musique et de danse de lorient"
Read all about the Moo-Ah Festival over at Andrew's fabulous IBS website !! Kawabata Makoto and his friends have a new album out: "Cometary Orbital Drive To 2199". Check out Henk Robben's paintings. Looks great. And even better with a free jazz soundtrack. Arend Niks's NEW NIKS ensemble will be playing two concerts next month. All to celebrate the new album. Last Friday, Vera Vingerhoeds presented a concert of Corrie en de Grote Brokken on Dutch Radio 6. 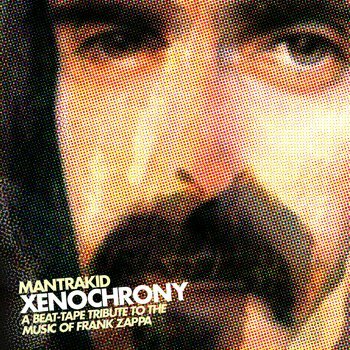 Mantrakid made sampled / looped / destillated & remixed an album out of Frank Zappa's repertoire. 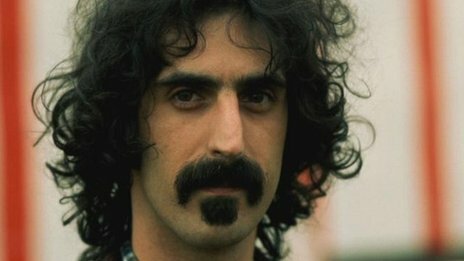 He called it "Xenochrony" in respect for Zappa's cutting & pasting techniques. 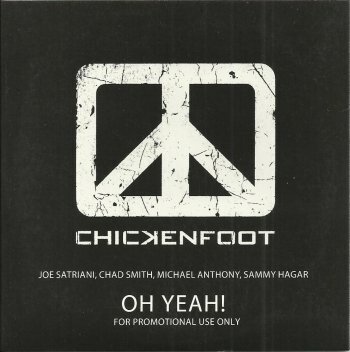 Here's a picture of the first (promotional) single by Chickenfoot, featuring Joe Satriani alongside Chad Smith, Michael Anthony and Sammy Hagar. 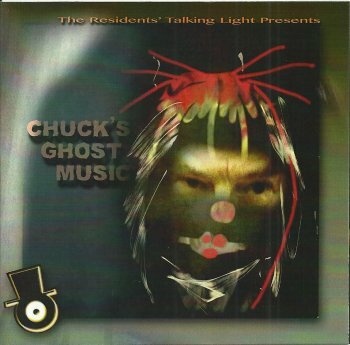 "Chuck's Ghost Music" is the slightly altered soundtrack of the "Randy's Ghost Stories" DVD. It was made availabe for download in 2011. Actually, you had to buy a laminated "Pass" that was sold during The Residents' North American 'Talking Light' tour in 2011. This pass contained a code, and with the code you could download this soundtrack. If I'm not mistaken, the album was made available throuh The Residents download shop as well. More recently, the album got released as a cdr-on-demand album. Did I tell you that it includes 8 weird tracks? In the meantime, everybody's getting ready for the next Residents Tour. European show dates keep popping up. Originally released in 1972 on Atlantic records, this fine album finally got a CD-reissue on the Flawed Gems label. Good God's eponymous first and only album presents mainly instrumental, energetic jazz rock with some progressive influences. The band's 9 minute coverversion of Frank Zappa's 'King Kong' stands out. Special guest Robert / Bobby / Bob Martin contributed French horn !! Dani Rabin (guitars) and Danny Markovitch (saxes), or Marbin as one might say, have a new album out : "Last Chapter Of Dreaming". It's their third release as Marbin. 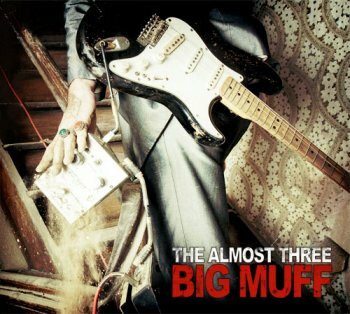 The second to be released by MoonJune Records. "Chicago Jazz Orchestra - The Grand Wazoo and Other Delights: A Tribute To Frank Zappa. Nice rendition of Peaches En Regalia and an unbelievable Echidna's Arf. Saxophone solo by Ernie Watts and a trombone solo by Tom Garling." 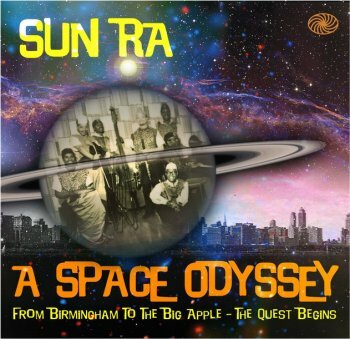 OK, so it's not a brand-new release as it got released last year, and it's not really a sampler as it includes Sun Ra's first four album, but it's the perfect introduction to the early works of Sun Ra. 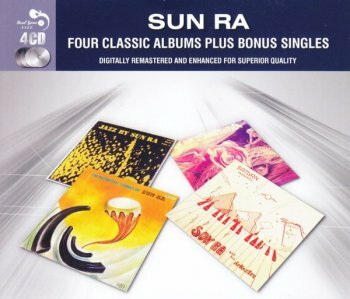 In 2011, the british Real Gone Jazz label released "Three Classic Albums", a 2CD set collecting Sun Ra's "Jazz By Sun Ra", "Super-Sonic Jazz" and "Jazz In Silhoutte". I'm guessing that this was a big success as they made a similar one, this time with one extra album, "The Futuristic Sounds Of Sun Ra", plus an extra disc with early singles. 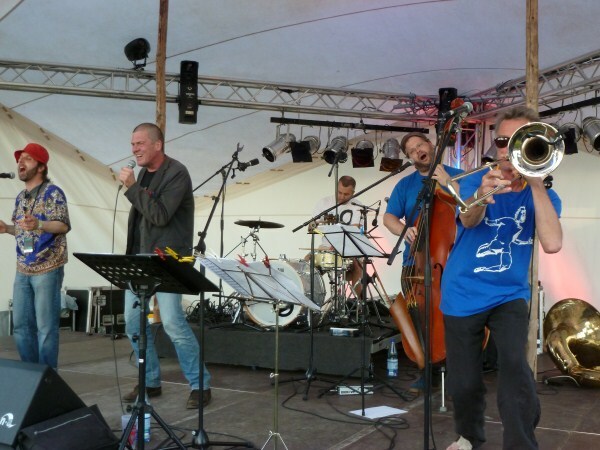 Monkey3 will be performing at the Burg-Herzberg Festival, July 21, 2013. The Ensemble Modern will be performing as part of the Ultraschall Festival in Berlin, Germany. 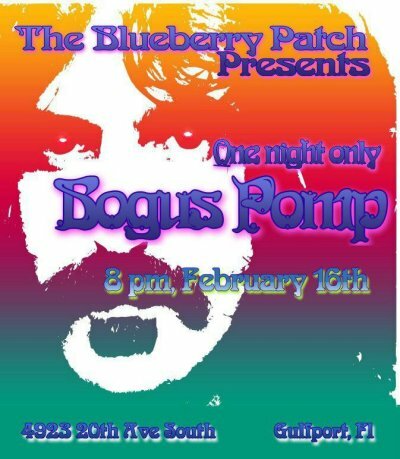 The concert will include Frank Zappa's 'Ruth Is Sleeping'. The vinyl version of Zappa's "Finer Moments" has been delayed. 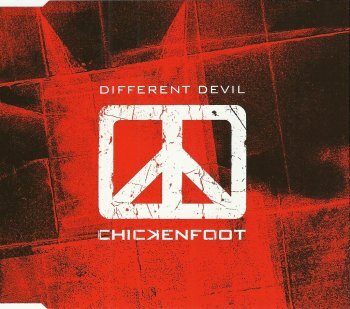 "Different Devil" is the 2-track single for the latest "LV" Chickenfoot album. Joe Satriani on the guitar. The band "fuchsprellen" performing at the Outer Space, Hamden, CT on January 13, 2013. ZAPPA'S 200 MOTELS FILM SCORE TO BE PERFORMED IN THE U.K.
Next Sunday on "Vrije Geluiden" on Dutch national television : TETZEPI !! Besides the WesFest concert, Joe Travers & Friends will be doing a concert at the Baked Potato as well ! The Aristocrats (Guthrie Govan, Marco Minnemann & Bryan Beller) will be touring the West Coast later this month. You might (and should) remember Stephen Chillemi and Pete Brunelli from their Doot! days. Here's Fuchsprellen with 'Selenium Circus' !! 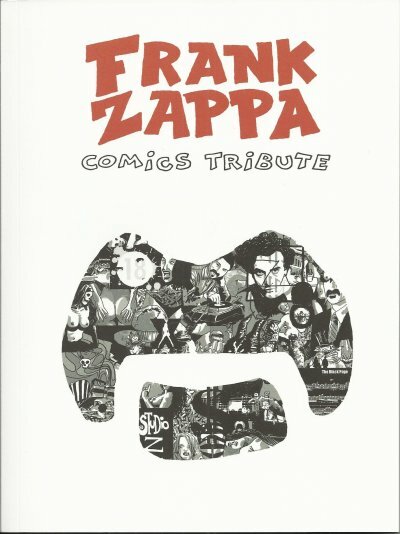 Well, the most fascinating item that reached the United Mutations headquarters in 2012 was the Frank Zappa Comics Tribute anthology. December 2011, a small number of participating artists visited the Strip Turnhout Festival in Belgium. A fine expo, combined with a concert by Bart Maris, was a nice introduction. The actual release of the book in March 2012 finalised the project. The Frank Zappa Comics Tribute is available in French and in English. I've got this weak spot for guitar players. Jimi Hendrix, Frank Zappa, Steve Vai, Alex Machacek, Nolan Cook, Adrian Belew, Mike Keneally,... and Joe Satriani. 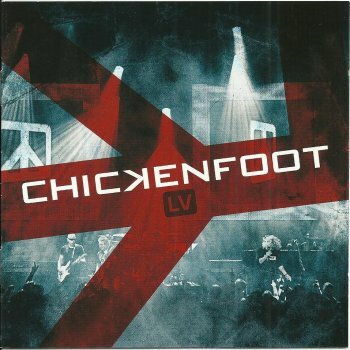 Chickenfoot, the all-star supergroup (Sammy Hagar, Michael Anthony, Chad Smith & Joe Satriani), recently released a live album in a limited edition of 10,000 copies. At the C-Mine Jazz Festival in Genk, April 2012. Last month, Jay Phlitman & Kim Kang released “Candy Queen Speedway”, the follow-up to their excellent “Velvet Coma Hotel” album from 2011. Jay Phlitman and Kim Kang are also known as Jean-Marie Mievis and Kim Duchateau. They are one of the few artists that keep searching for the boundaries and that keep surprising their audience. 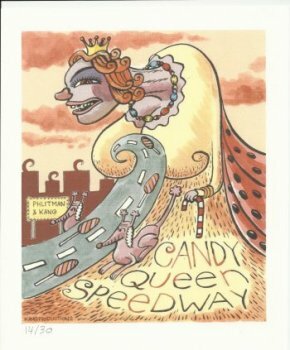 ”Candy Queen Speedway”, my dear friends, is music from the other side of the fence. It’s lo-fi. It’s pop yet experimental. It’s absurd, and above all, it’s like something you have never heard before. Singalong melodies, crazy lyrics, a minimalistic approach,… I love it. “Candy Queen Speedway” has been released as a 10” orange vinyl album in a limited, numbered edition of 275 copies and it features artwork by Sarah Yu Zeebroek (of Hong Kong Dong fame). The first 30 copies of the album included a silkscreen art print by Kim Duchateau. 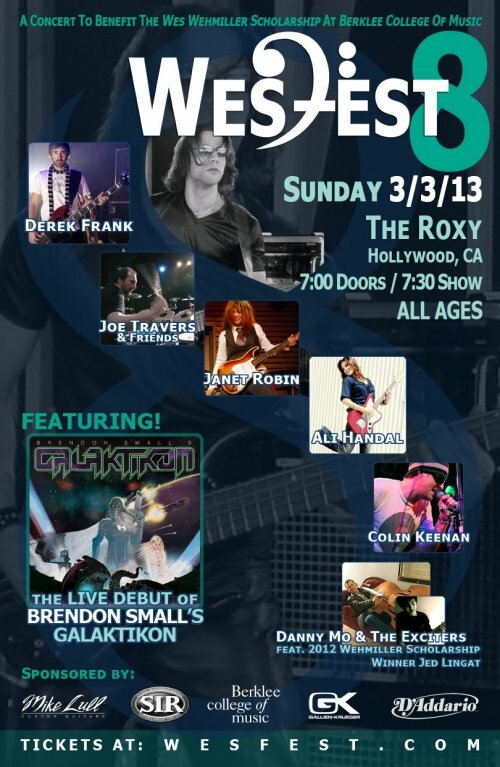 Bryan Beller: "We're talking an 11-piece all-star band with four guitarists, including L.A.-based guitarist and former Musicians Institute Guitar Program Director Jude Gold (Jefferson Starship, Billy Sheehan), Mike Keneally (Frank Zappa, Joe Satriani), Rick Musallam (Ben Taylor, Carly Simon), and Small himself. Additional band members include keyboardist/guitarist Walter Ino; vocalists Ben Thomas (Zappa Plays Zappa), Kira Small (Peter Frampton, Martina McBride), Ali Handal (Neil Young, Paul Williams) and Jude Crossen; and yours truly on bass. The word epic is overused, but in this case, it's legit. This will be EPIC." The same night will also feature a concert by Joe Travers & Friends !! JOE TRAVERS has been involved with the Zappa Family Trust for 20 years. He was the drummer for Dweezil & Ahmet Zappa's group "Z", then fell into the job of "Vaultmeister" to archive and preserve the contents of Frank Zappa's extensive vault. Throughout this time Joe has been involved in a number of live performing groups (Duran Duran, Lisa Loeb, Mike Keneally & currently Zappa Plays Zappa) and studio projects in and around Los Angeles. Joe's latest musical adventures involve his recent assemblage of close friends and musicians that all have one thing in common: a love of music and performing together. These musicians include (but are not limited to) Scheila Gonzalez, Kurt Morgan & Ben Thomas(Zappa Plays Zappa), Rick Musallam (Cirque Du Soleil, Mike Keneally), James Santiago (Independent Artist), and Rico Belled (The Rippingtons). For Wesfest 2013, Joe and his group will be joined by special guest vocalist Holland Greco(Solo Artist/The Stripminers) for an inspired performance of Chaka Khan's "A Night In Tunisia - The Melody Lingers On" and will world premiere a composition written by Rick Musallam and Wes Wehmiller, sung by Ben Thomas. The Residents' latest album, "Triple Dub-Ya" arrived last week. The album presents a recording of the 2005 concert that The Residents did at the "What Is Music Festival" in Melbourne, Australia. The album is great. Our Eye-balled buddies take a look back at their career with nothing but classicss and familiar tunes. In the meantime, two new albums are about to get released. There's "Mush-Room" which should be available at the tour, and there's "Chuck's Ghost Music" a previously download-only album that is getting a CDR-On-Demand version. 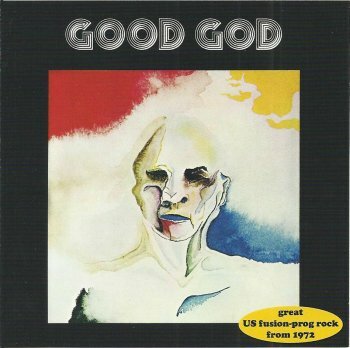 Good God was a jazz/rock fusion band based in Philadelphia in the early 1970s. The group was led by guitarist Larry Cardarelli and by Cotton Kent on keyboards. Filling out the band were Greg Scott on saxophones, John Ransome on bass and Hank Ransome on drums. They released one album in 1972 on Atlantic Records. It included their version of Frank Zappa's 'King Kong'. Rumor has it that band got it's name when they, huge Captain Beefheart fans, called Don Van Vliet out of the blue, and asked what they should call themselves. "Good God!" was his reported reply. Whether or not that story is true, their album, as rare as it is, is highly regarded among fusion enthusiasts. After fourty years, the album finally got a CD reissue. thanks to Nikolai Zaharov for the link ! Most of the compositions are originals, written by guitar player Martin Ettrich. The three exceptions being written by Don Nix, Billy Cobham, and, yes, Frank Zappa. FZ's 'Sleep Dirt' gets a bluesy treatment. Nice. It's one of the better tracks on the album. I first heard these albums in 1981, 1982. I don't really know what Pere Ubu or David Thomas have been doing lately, but the band does have a new album out: "Lady From Shangai". A good reason to listen to "Dub Housing" again. Is that four months ago already?!? I had listened to Ben Watson's view on Don Van Vliet's lyrics and poetry; I had seen FiftyII50's struggle with the sound system, and I had already enjoyed a fine concert by Ya Hozna. I guess I was ready for some more music. Next up were The Yellow Snow Crystals. They brought Zappa in the German language. With a jazz flavour. I liked it. I thought it was very funny and I enjoyed the music and the performance a lot. I had seen the band in concert before so I knew what to expect, but I was still impressed. Not only did the band have two backing vocalists, they had extended their repertoire as well. An audience recording of this concert is up on Zappateers. Markus Stauss' Spaltklang project found its origin in 2001. 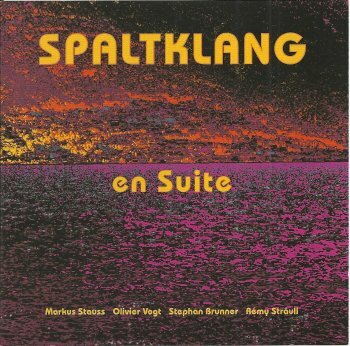 "En Suite" is the fourth Spaltklang album. The second reason is the presence of complex, yet lyrical compositions. This is contemporary chamber-rock at its best. In his pieces, Markus Stauss combines polyrhythms with medieval music. "En Suite" is a remarkable album. As the title suggests, it will take your music journey one step further. If you're into contemporary music, you should definitely check this out. Marco Minnemann and Guthrie Govan recently released "Symbolic Fox". Here's a sample. 'Night Skies' by former Zappa lead singer Ray White ! !